GlobalHealth Lab pairs faculty-mentored teams of MBA and other MIT graduate students with enterprises on the front lines of health care delivery. In our first five years we worked with 40 partner organizations in Kenya, Uganda, India, South Africa, Tanzania, Nepal, Bangladesh, Botswana, Mozambique, Sierra Leone, Malawi, Ghana, and Zambia. We are grateful to every partner for helping us to learn about healthcare delivery in a wide variety of settings. Over time, our name has changed (it had been G-Lab GHD, then GHDLab) and we’ve tested different timing and team size, but our focus has remained on practical business approaches to improve healthcare delivery in low-resource settings. See where in the world we’ve been on this map. 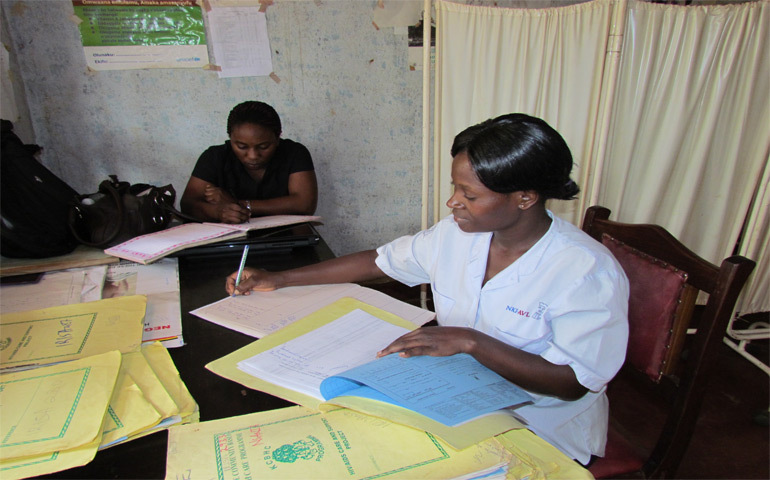 In 2008, AAR was the largest private health care company in East Africa, operating 18 health centers in three countries and providing preventative and curative health care to close to 10,000 clients in all income brackets. AMPATH is an innovative and effective collaboration that provides health care for the poor at over 80 health centers in western Kenya. Baobab Health, a Malawi-based non-governmental organization, seeks to improve health outcomes at HIV ART clinics through the application of easy-to-use touchscreen clinical workstations at the point of patient care. BRAC, the world’s largest NGO, is a development organization based in Bangladesh dedicated to empowering the poor to bring about change in their own lives through interventions in healthcare, microfinance, education, and legal services. BRAC’s health-related services touched 100 million people in 2012. CareWorks, a South African firm, provided HIV-related services to companies, medical insurers, and other organizations. CARE Hospitals evolved from a cardiac hospital to a chain of multi-specialty tertiary and quaternary care hospitals with 1600 beds in five Indian states that aimed to provide affordable, high quality services to a broad segment of the country’s population, including lower-income patients. Hyderabad-based CARE Rural Health Mission (CRHM), a non-profit organization supported by and housed within the CARE Hospitals system, aimed to provide affordable, accessible primary care in rural areas. Via 200 clinics and an extensive staff of “village health champions,” local women trained to provide basic health care, in 2009 CRHM provided almost 250,000 treatments to low-income rural patients in Andhra Pradesh and Maharashtra states. Carolina for Kibera, or CFK, fights abject poverty and promotes youth leadership and ethnic and gender cooperation in East Africa’s largest slum. In partnership with the US Centers for Disease Control, CFK ran the Tabitha Clinic, a three-story facility in the heart of Kibera. A leader in the fight against HIV/Aids in Africa, the Centre for Infectious Disease Research in Zambia (CIDRZ) helps train medical professionals, deliver clinical care, and conduct research. US-based Daktari Diagnostics commercializes low-cost, rugged health diagnostics. A private hospital providing reconstructive surgery to the poor in India, G. S. Memorial specialized in surgeries for cleft lip and palate and, more recently, in burn and post-burn care. Founded over 60 years ago, Gertrude’s Garden Children’s Hospital’s is a leading health care provider for East African children. Gradian Health Systems, a New York-headquartered company, aimed to equip hospitals to deliver anesthesia safely and economically with its Universal Anesthesia Machine (UAM), a CE-marked device designed for use in any hospital, including those where unreliable electricity and shortages of compressed medical gases preclude the use of conventional machines. Grassroot Soccer was founded 2002 in Zimbabwe by former professional soccer players who saw the devastation of AIDS and sought to use soccer as an HIV prevention tool with programs designed to educate, inspire, and mobilize communities to fight the spread of HIV/AIDS. By 2012 GRS and its partners provided health and prevention education in schools and on soccer fields to roughly 100,000 youth aged 11-25 annually. Himalayan HealthCare (HHC) provides healthcare, education, and income generation to the remote mountain villages of Nepal. The Kampala Family Clinic (KFC) is a private practice offering family medicine, pediatrics, obstetrics, HIV services, physiotherapy, and laboratory services. As East Africa’s largest international call center, KenCall’s services included customer support, telesales, financial analysis, competitive research, and database management. Kyetume Community Based Health Care Programme (KCBHCP) strives to improve the general health of underserved rural people in Mukono District, Uganda. LifeSpring Hospitals is a chain of maternity facilities providing high-quality affordable health care to low-income women in India. Living Room International (LRI) provides dignity and quality of life to people in Kenya affected by HIV/AIDS and other life-threatening illnesses through home-based and inpatient hospice care and education. loveLife is South Africa’s national HIV prevention initiative for young people ages 12-24. With a network of programs that extended to 900 sites across nine provinces, the nonprofit melded behavior change with clinical services through youth-friendly programs and, in less than a decade, had become an essential part of South African life. An established, diversified organization, by 2012 L. V. Prasad Eye Institute had provided comprehensive, equitable, and efficient eye health services to six million patients and operated over 100 locations in Andhra Pradesh and elsewhere in India. Mennonite Economic Development Associates (MEDA) is an association of business people that invests in the working poor through microfinance loans to entrepreneurs, investment in start-up businesses, a service that links small-scale producers with markets, and an advising network. Meridian Medical Centres offered middle-income patients modern, fully equipped medical facilities. Muthaiga Paediatrics Clinic was a small, private facility that aimed to deliver the highest quality of care by providing a personalized, family-friendly experience. A locally-registered non-governmental organization affiliated with Population Services International, PSI Tanzania was committed to improving the health of vulnerable groups in Tanzania by promoting healthy behavior and delivering quality affordable health products through social marketing. Non-profit Shining Hope for Communities (SHOFCO) was founded in the densely-populated informal settlement of Kibera to tackle extreme poverty and gender inequity by providing school girls and the wider community with carefully-designed holistic health services, education, and community outreach. Support for International Change (SIC) aimed to limit the impact of HIV/AIDS in underserved communities and to train future leaders in global health and development. New-York-based nonprofit Surgeons OverSeas (SOS) aimed to strengthen its collaboration with Sierra Leone’s main referral hospital, Connaught Hospital, by developing a surgical residency program and providing surgical assistance and support. Through an innovative collaboration, the Sustainable Household Income Project (SHIP) drew on Mbarara University of Science and Technology, Massachusetts General Hospital, and Harvard University, among others, to provide support to low-income patients affiliated with the Family Treatment Fund and Immune Suppression Syndrome Clinic in the rural environs of Mbarara, Uganda. SHIP aimed to help patients adhere to treatment and stay healthy by providing practical training in small business entrepreneurship and startup materials to launch household businesses. The Ghana refining and marketing branch subsidiary of Total, a French-based multinational energy company, operated 212 service stations in the country’s ten regions. Pharmaceutical and medical supply claims were the major focus of one of the biggest divisions of RTT, South Africa’s largest privately owned distribution company (in 2013 it was acquired by Imperial Health and renamed). Unjani was a social project run by RTT’s leadership that aimed to contribute to the welfare of its 7000+ employees, their families, along with the broader community, through the creation of sustainable local businesses designed to provide basic, affordable health services near RTT warehouses. VillageReach is a non-profit dedicated to increasing healthcare access and quality for remote, underserved communities. Having seen government-run rural health clinics hampered by a lack of electricity, VillageReach founders formed VidaGas in partnership with two other investors. This for-profit business provided liquid propane gas in northern Mozambique, where few had access to such fuels, and its initial customers included rural clinics in need of a reliable source of energy to keep vaccines cold and illuminate birthing areas in the night. With 137 beds, Warmbaths Hospital provided level-one clinical care to the town of Bela Bela and its surrounding community. The South African Provincial Western Cape Department of Health is a government-run organization that delivers free healthcare to more than 16 million uninsured patients every year.